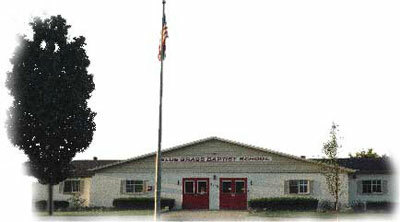 Blue Grass Baptist School has been educating hearts and minds in Lexington, KY since 1969. Started as a Kindergarten program in a local Baptist church, Blue Grass Baptist School has grown to a K-12th grade school. We know that once you look into what we have to offer, you will easily see what an awesome work that God is doing in this place. Additionally, enrichment activities are provided through such programs as 4-H club, National Junior Honor Society, National Honor Society for Secondary Schools, BETA club, D.A.R.E., Pep Club, Student Council, and Journalism. We have a dynamic athletics program for both elementary and high school students. – Accredited by the Kentucky Non-Public Schools Commission, Inc.
Our vision is to provide an excellent Christian Education, uniting home, church and school in Jesus Christ through Kingdom Education so that the generations to come will know the Truth of God’s Word and not forget His works, nor be taken captive by the vain philosophies of their day. Be it known to all who enter here that CHRIST is the reason for the school. He is the unseen but ever present teacher in its classes. He is the model of its faculty and the inspiration of its students.